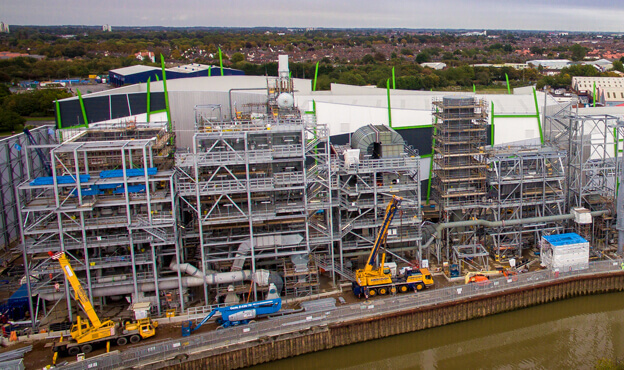 Constructed on the banks of the River Hull, Energy Works is an Advanced Gasification Energy Recovery Facility. 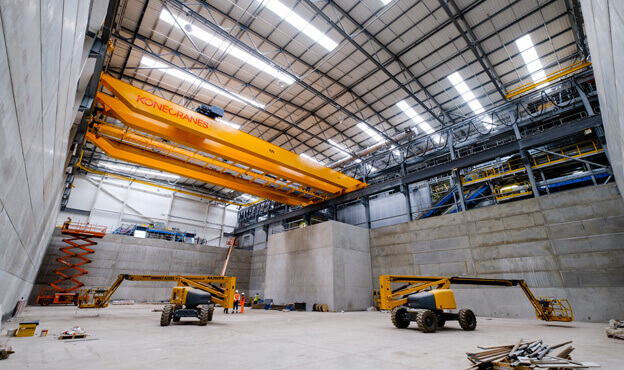 Spencer executed a £35m sub contract to prepare and surface the ground together with provision of all of the buildings on site, including the Energy Academy and car park, a 30m2 x 20m high steel framed turbine hall and 70m high steel chimney. 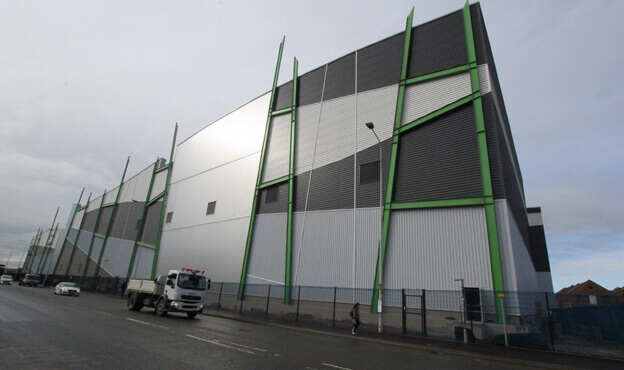 The works involved the civil, structural and architectural engineering around the construction of a 25MWe waste to energy power station, designed to power more than 43,000 homes and to divert over 240,000 tonnes of waste away from landfill. The project demonstrated Spencer’s expertise in self-delivery, involving Civil, Structural, Process, EC&I, M&E and Architectural engineering. Working in a challenging, multi-disciplinary environment, Spencer Group planned and programmed the design and build elements of the works in sympathy with other major sub-contractors on site to aid the EPC to achieve record performance of the total build, hitting key milestones ahead of the schedule. Spencer brought significant innovation to all aspects of the project, including realignment and re-design of significant link and water retaining structures to improve resilience and to better integrate construction with the rest of the site. Part of the project involved the construction of waste processing and storage sheds to accommodate the 240,000 tonnes of waste to be handled by the facility each year. Spencer executed the civil engineering behind this element of the project, from the design phase to build, and delivered the mechanical and electrical elements of the project including a moving crane. This work was also fully integrated with the rest of the site, forming part of a large and complex power generation scheme.